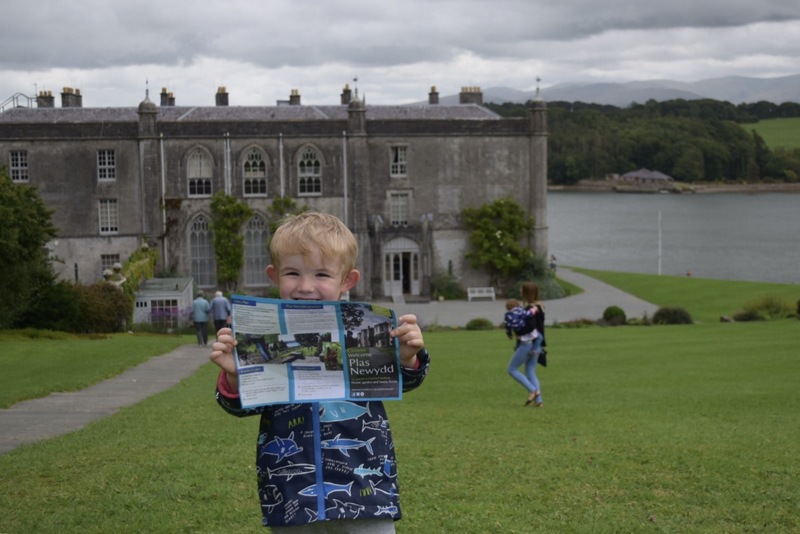 When we heard about the National Trust’s 10 legendary days out in North Wales, we jumped at the chance to experience them. We’ve been big National Trust fans for a long while now. Strangely, however, we had always tended to visit properties and landmarks further afield than our native North Wales. Daft, I know, but it was something that we were keen to put right. 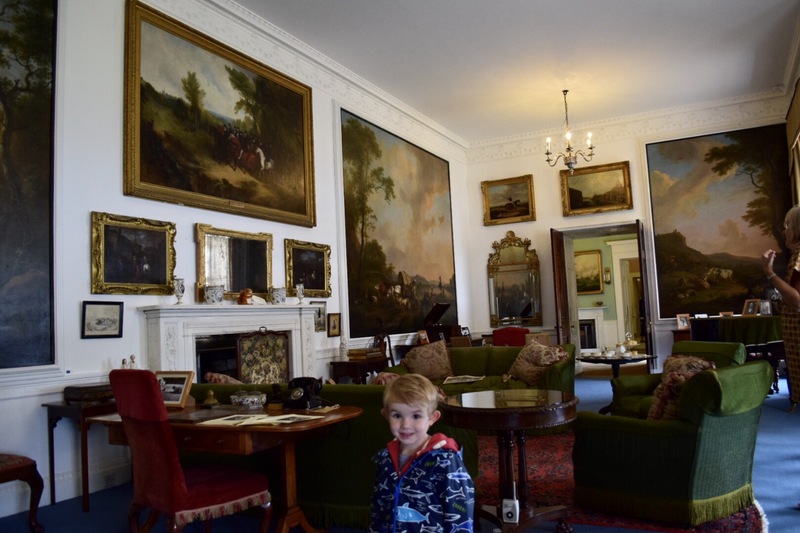 So, after a relatively short journey along the Welsh coast we arrived at Plas Newydd. We decided to explore the house itself first. 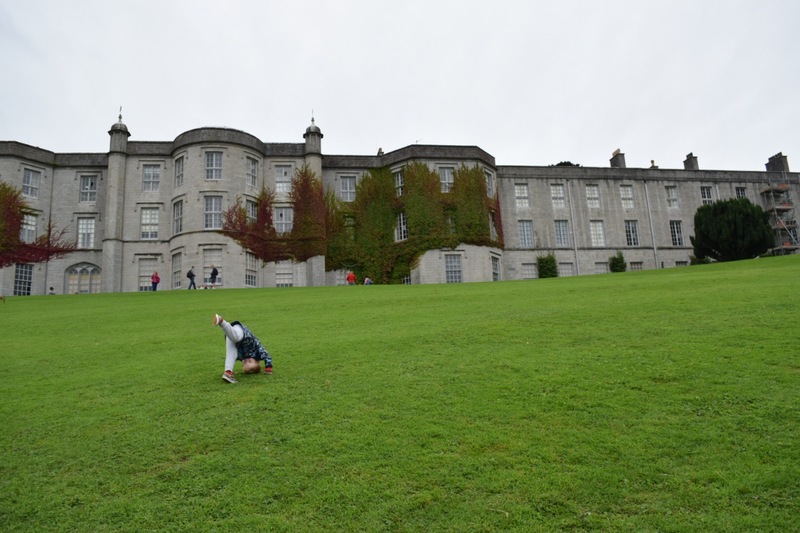 For anyone with an interest in history, art or just gorgeous buildings, Plas Newydd is a treasure trove. Moving around the ground and first floor you can’t help but be amazed by the sheer size and opulence. 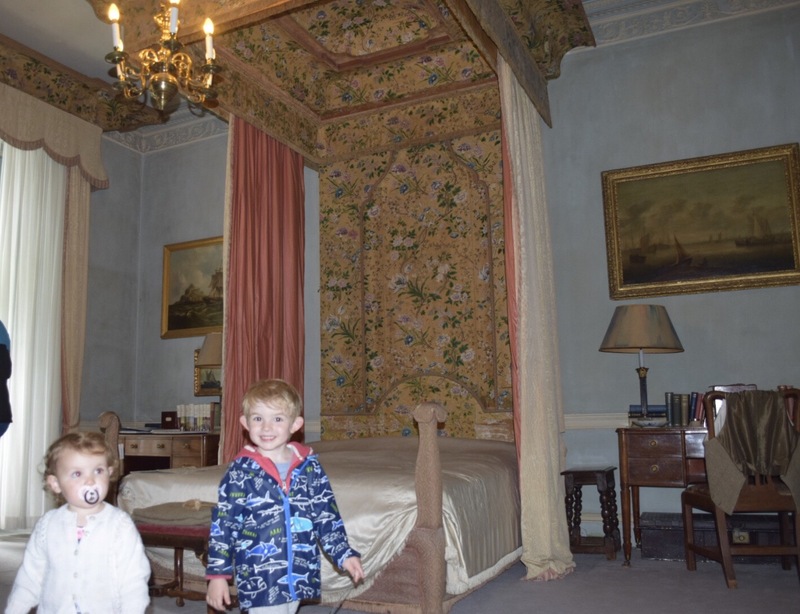 Giant four poster beds that look out across the water are accompanied by princess-like dressing tables that had Nat green with envy. Each room seems to have been optimised to take in the quite magnificent views outside. Downstairs, we stood and listened to one the guides explain in detail the story of Rex Whistler’s giant painting. 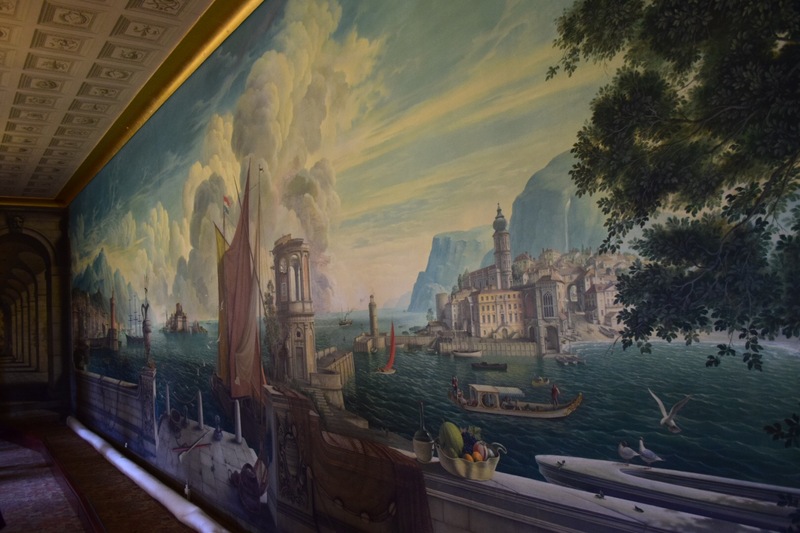 Designed as a conversation piece in the dining room, it’s an amazing fantasy montage with buildings and seascapes pinched from all over the world. It also contains some of Whistler’s favourite people, as well as miniature self portraits of the man himself. However, by far my favourite aspect of the painting was the link to Neptune. You see, Whistler incorporated his crown, trident and wet footprints into the painting. The idea is that Neptune left the sea to join the dinner party. This really is a witty, funny and amazing conversation piece. 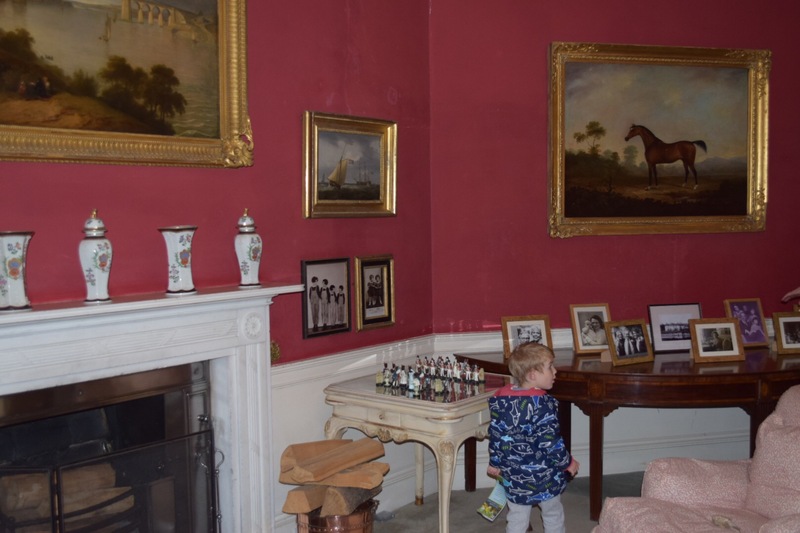 Elsewhere downstairs, the kids were taken by the artefacts such as globes and ornate chess sets. The sheer number of artefacts in the house is just mind-blowing and will certainly keep visitors interested for hours. 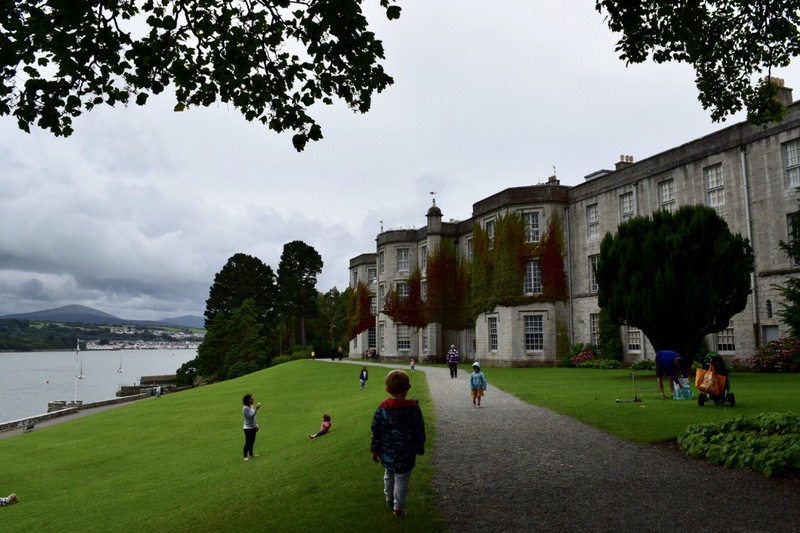 Outside in the grounds, Plas Newydd is just beautiful. If you were to describe a perfect setting for a giant mansion, you’d probably describe something similar to the spot that envelops Plas Newydd. 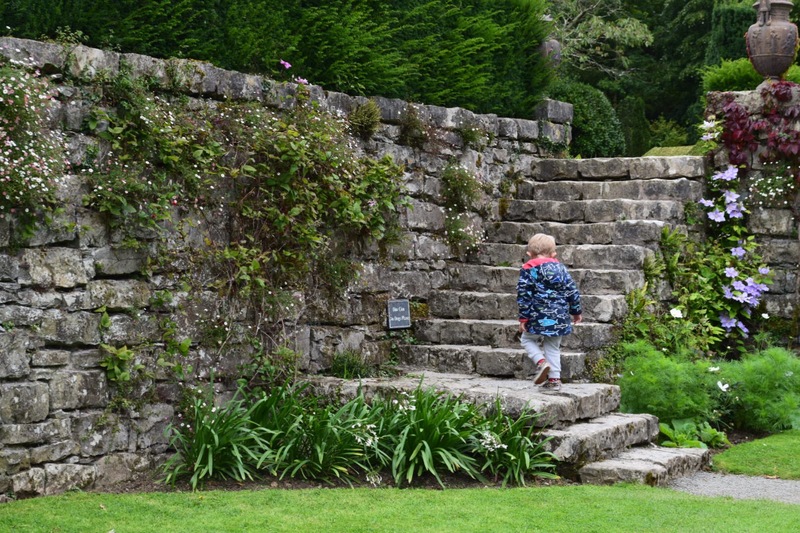 With extensive gardens, ancient woodlands and the gift that is the Menai Strait, you’ll be enchanted. 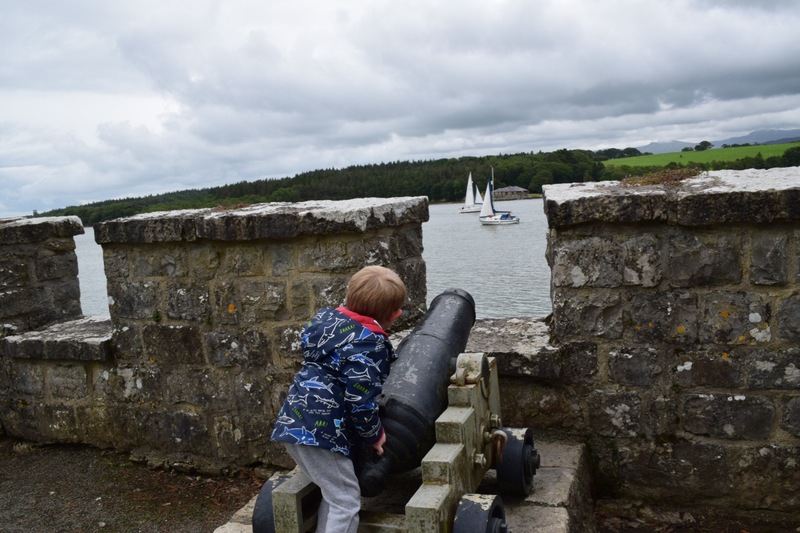 We wandered along the front while the kids sat on the cannons and pretended to shoot pirates and seagulls. Why the seagulls came in for such unwarranted scrutiny I’ll never know. Thankfully, the cannons are now nothing more than decorative pieces! 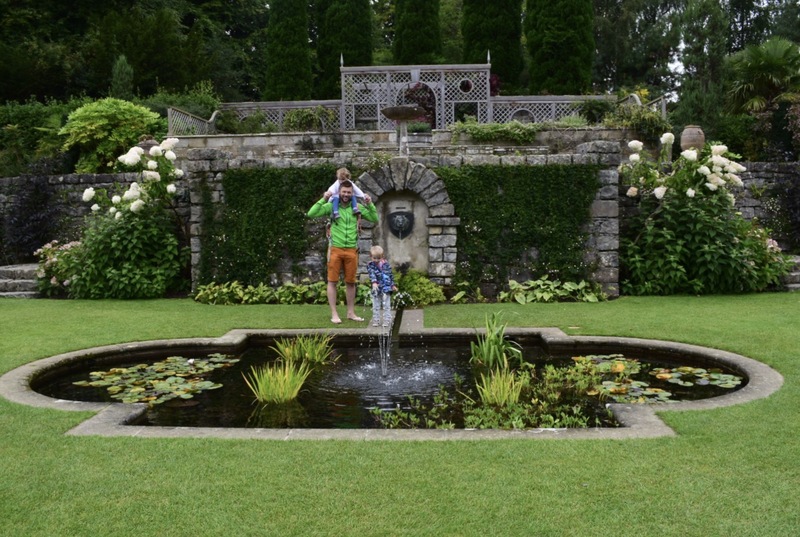 We found gorgeous little ponds filled with fish and surrounded by an array of plant life. This really is a gardener’s dream. 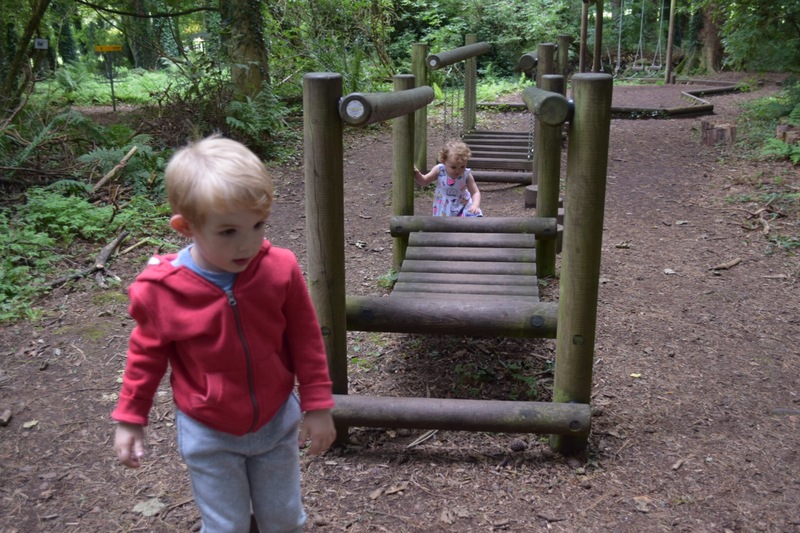 Before we left for the day, we had promised the kids that they could run themselves ragged on the adventure playground. This is a great addition that really emphasises the National Trust’s commitment to being a family- friendly organisation. Moreover, the fact that it’s encased in the adjacent woodland means that it doesn’t detract from Plas Newydd’s beauty. 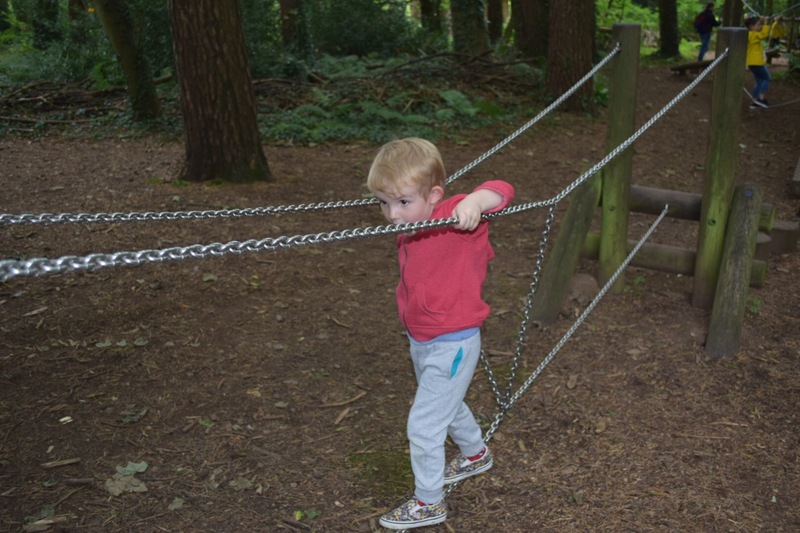 So, with ropes to climb, swinging bridges to clamber across, and monkey bars to latch onto, run themselves ragged they certainly did. 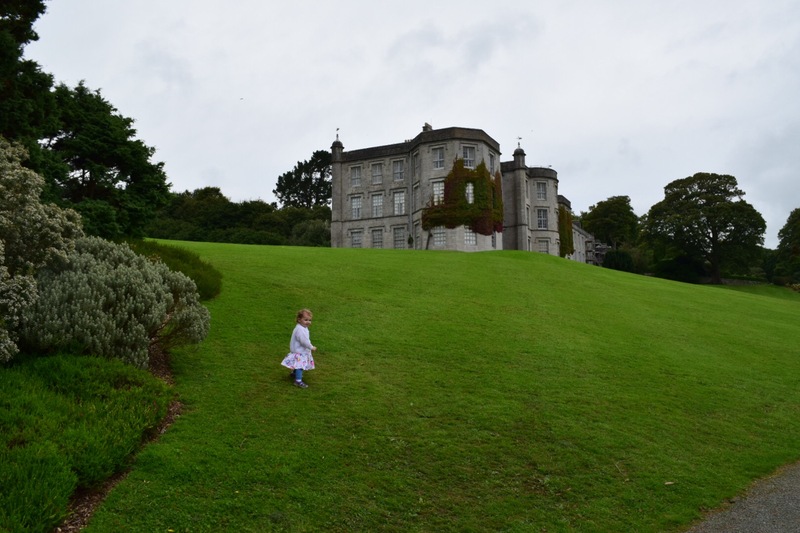 Anyone who is looking for a great day out in North Wales should consider Plas Newydd. It has enough to keep the whole family happy and occupied, and you’ll find few places with better surroundings.